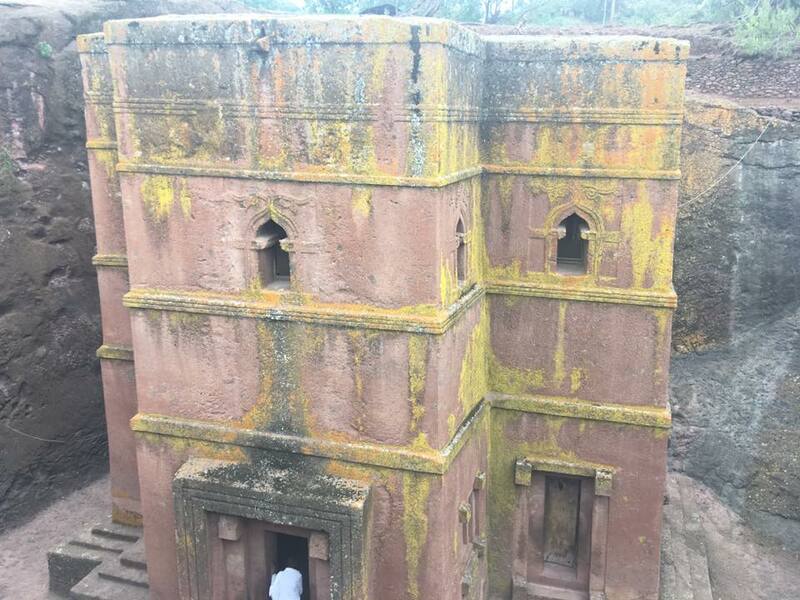 I was breathless as I tried to keep up with my guide, Tesfaye, as he hopped from boulder to boulder up a steep “path” to Lalibela, where we would go back in time 800 years. I realize I haven’t actually said yet exactly what Lalibela is. 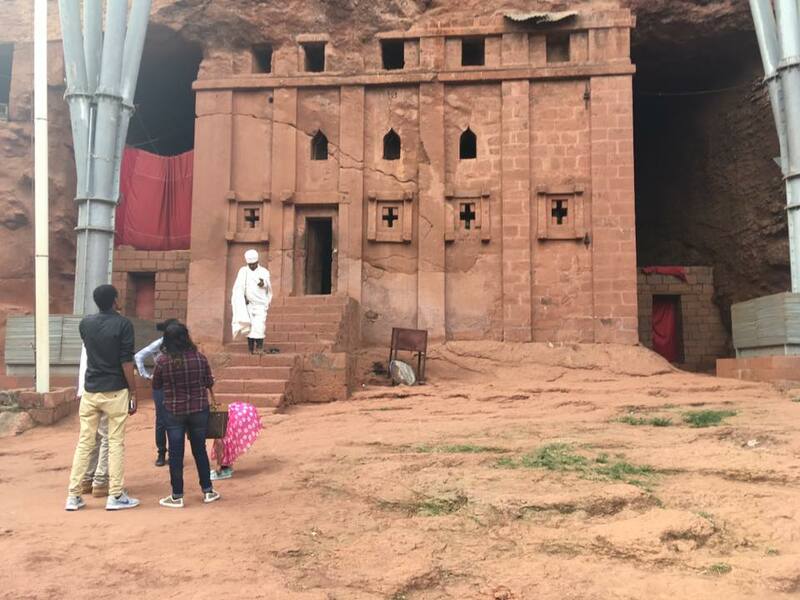 It’s a complex of Ethiopian Orthodox churches that were carved out of stone during the 12th and 13th centuries at the behest of the Emperor Lalibela. It would be the latest in my world tour of ancient sites I had unintentionally visited over the last two years. Others included Petra, in Jordan; the Tarxian temples in Malta, Tikal, in Guatemala; and Stonehenge, which I’ll get around to writing about eventually. During my Latin American phase 10 years ago, I went to Machu Picchu and loads of pyramids and temples in Mexico and El Salvador whose names I can’t recall. Prior to that I had been to Israel, where you practically trip over an ancient site every time you turn around. I don’t believe in god and I struggle with the concept of a higher power. I am constantly thinking about death and seeking some kind of meaning or purpose to living. I’ve written before about how I find life worth living when I interact with children, am out in nature, or am appreciating the beauty of art, architecture, a garden, classical music, etc. I have also experienced meaning at ancient sites. Not all, but some. I spent two full days in Petra, hiking in its silent, barren wilderness. And I felt profoundly moved. This will probably sound really “woo woo,” as my Native American relatives would say, but I felt a connection to the people who had lived there. Not like I sensed their ghosts, exactly. But I felt awe that they had built this place and it was still intact, and people like me were still here wondering about them. I had my most moving experience at the Western Wall in Jerusalem, which like Petra is around 2,000 years old. There a multitude of faiths represented, people in costumes that looked like they were straight out of Hollywood central casting—Jews, Muslims, Druse, Christians of every denomination—nuns, monks, imams, Hasidim, people wearing turbans, yarmulkes, tall conical hats, and fezzes. I was on a tour with 175 other Jews from Minnesota. We were herded to the wall and I tucked a prayer for my son, Vince, inside one of the cracks. I believed in God back then. Vince was on the lam with drug and legal problems, and I was desperate for anyone or anything to help him. I closed my eyes and leaned in to pray, and I felt a tremendous physical sensation like a “whoosh”—as if a vortex of everyone who had prayed there over the millennia were carrying my request upward. “It’s been 20 minutes!” he replied. Twenty minutes! It had felt like five. Other places have been “meh” experiences or just interesting for their historical significance. I think it must have more to do with my own state of mind than anything else. 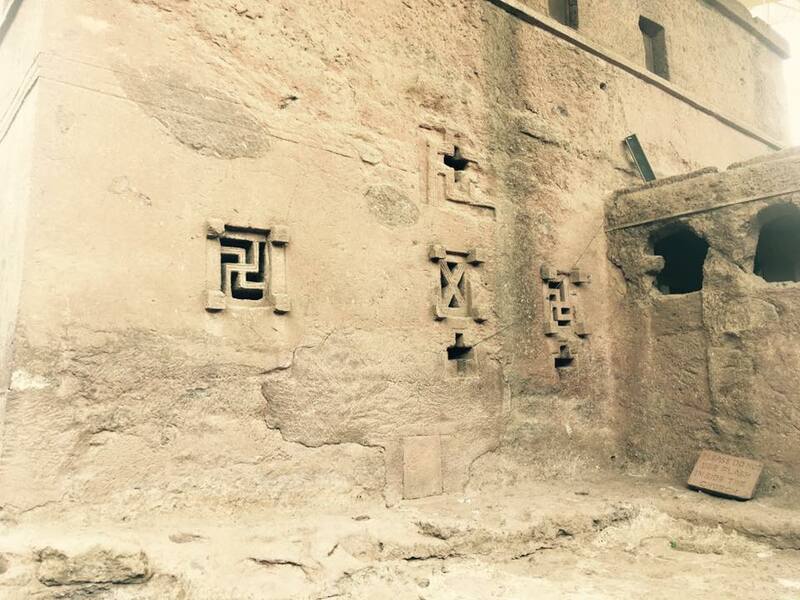 My colleague who had urged me to visit Lalibela had said she found it deeply moving, much more so than Petra. So I wondered how it would be for me. After about 15 bureaucratic steps involving buying a ticket then having it inspected and stamped by three people, Tesfaye and I were in. And it was amazing. Tesfaye told me that the churches were built in the 3rd to 5th Centuries, which conflicted by about a thousand years with what I see on Wikipedia. 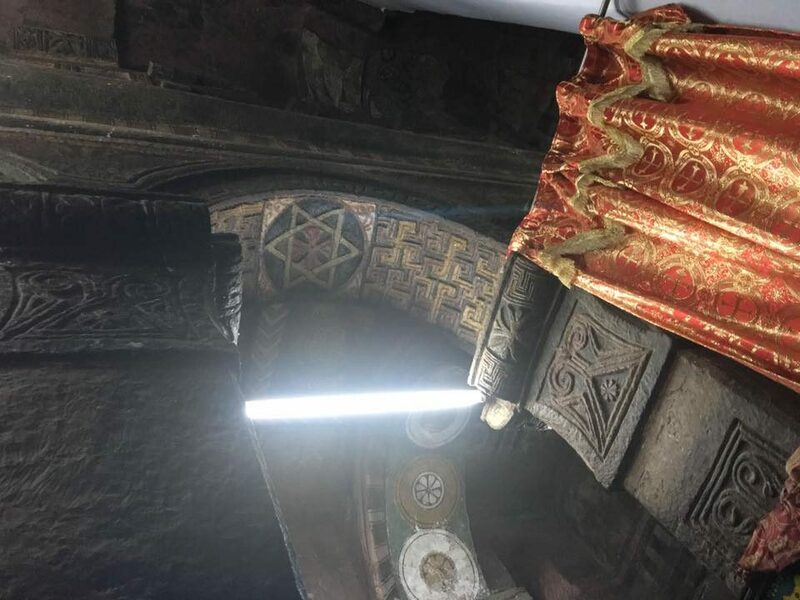 He also told me that most Ethiopians were Jewish back then, which doesn’t square with the Emperor, a Christian, building all these Christian churches. 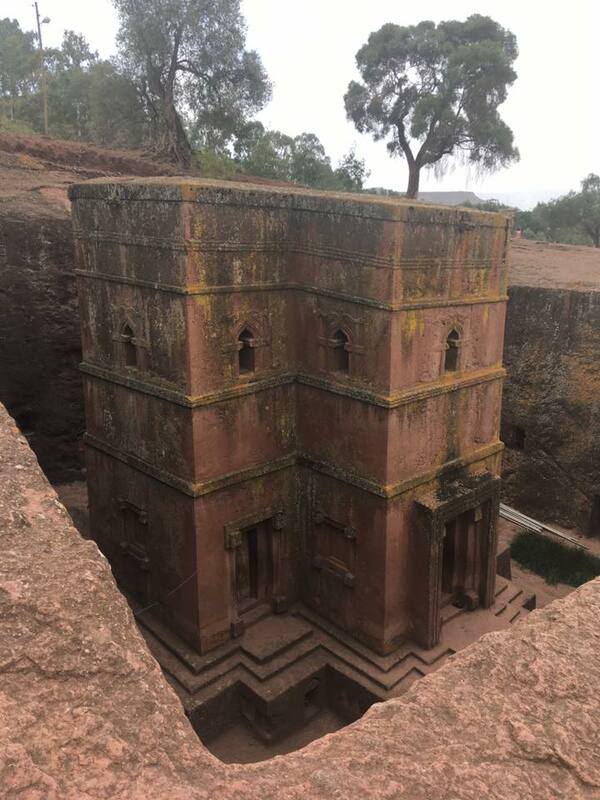 Then there was the part about the Portuguese visiting Ethiopia in the 17th Century to try to convert them, and that 800,000 people visit Petra each year while only 25,000 visit Lalibela. Not sure about any of that. In fact, he talked so much that there was no space to feel moved. 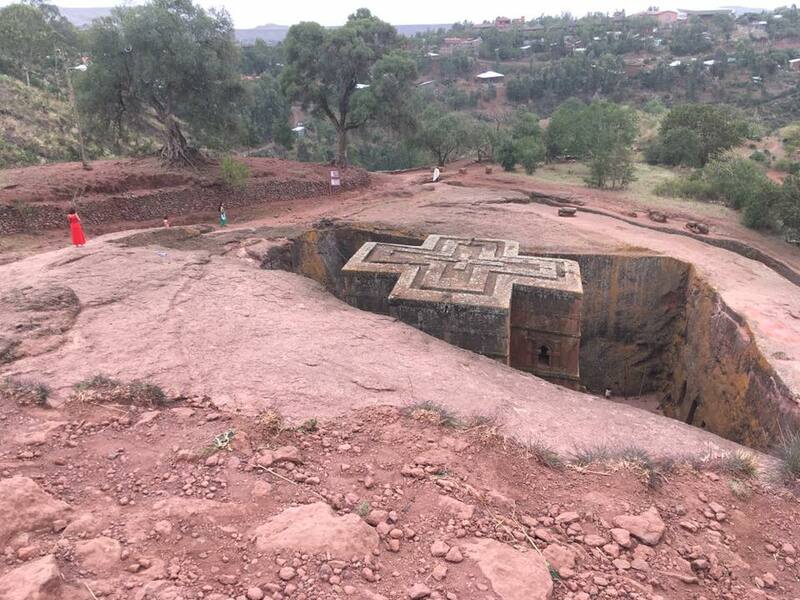 This entry was posted in Adventure, Atheism, Budget travel, Culture shock, International Development, Living abroad, Travel and tagged Ethiopia, Israel, Lalibela, Petra, travel on July 22, 2017 by Breaking Free.